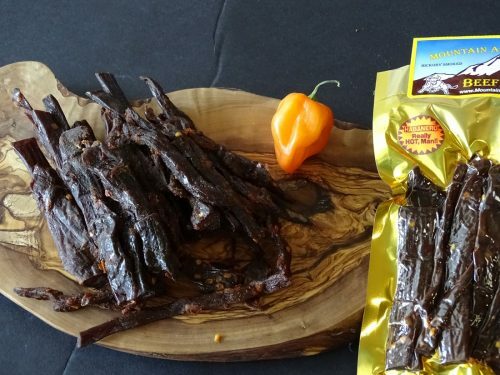 Finally, a really spicy beef jerky with flavor. 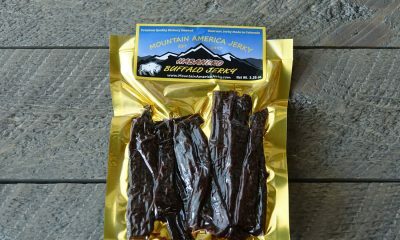 Our Habañero Beef Jerky is a flavorful tour de force that will light you up! The hickory smoked beef is highlighted with intense habañero pepper for a combination that’s a favorite with spice lovers. 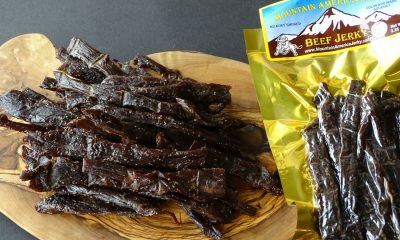 This habañero beef jerky is made from small herd, locally sourced cows (no feed lot cattle) and is thick cut, spiced, and hickory smoked daily. No nitrates, or fillers. Try some today and discover why spicy food connoisseurs across the nation come back time and time again. 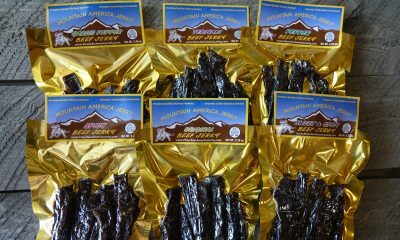 Ever tried cooking with jerky? Try our Habañero Beef Jerky Nachos. 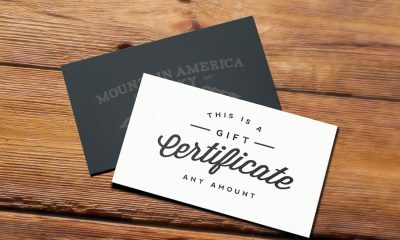 A comment from Mountain America Jerky on the heat: We have accomplished balanced flavors and a heat factor with our habanero products that is hotter than the standard Hot & Spicy. Let us know your opinion! 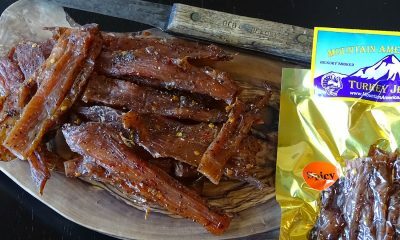 Habanero Beef Jerky: There’s spicy and there’s habanero. 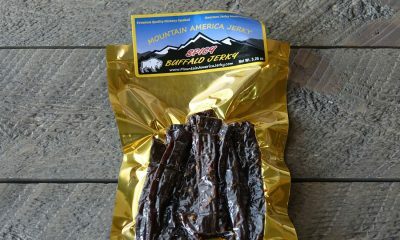 This jerky has plenty of savory beef flavor, but that gets overshadowed a bit by the mouth numbing burn. The basic recipe is much the same as the other flavors with one major difference. Habanero pepper flakes are visible on each flaming stick of beef. 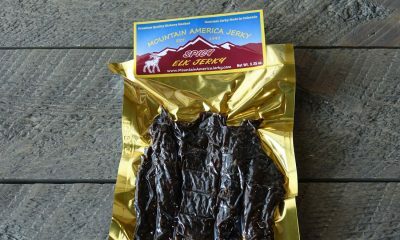 This jerky still has great flavor, but the heat may be too much for some. I’ve tried them all, and they are all extremely good. Although Habanero is for guys and gals like myself who love the combination of lava and beef. (Habanero Beef review) I’ve been ordering almost everything from this company and not only are their products delicious and fresh but the service is phenomenal. There is absolutely no comparison between this and any store-bought mass produced product – even Trader Joe’s and Whole Foods. 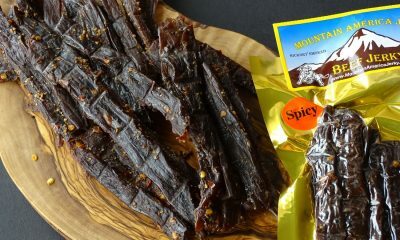 You should try the smoked salmon pouches, and the habanero beef jerky – well forget anything you ever thought of as HOT! I can’t get enough of it.